Yes, Aretha Franklin Natural Women performance made Obama cry. Aretha Franklin's “Natural Woman” performance that brought Obama to tears. Aretha Franklin brought down the house at the 38th Annual Kennedy Centre Honours – a fancy ceremony held in Washington, DC on December 6 and televised yesterday – to recognise those who have contributed to the performing arts. Watch the performance here. Post continues below. 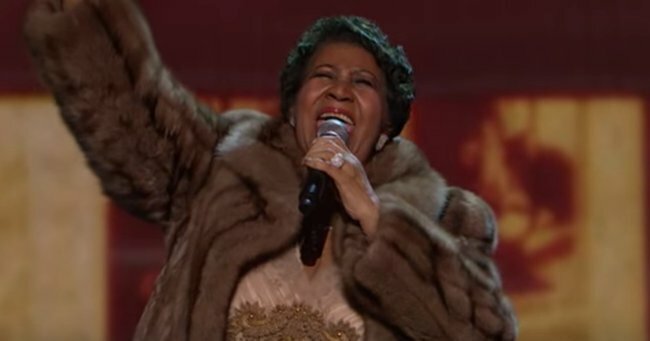 Wearing a floor length fur coat and plenty of bling the 73-year-old took her seat at a grand piano and belted out her 1967 hit “Natural Woman” to a star studded crowd. President Barack Obama, Kerry Washington, Gina Rodriguez, Viola Davis, along with this year’s recipients – Puerto Rican actress Rita Moreno, Mr Star Wars George Lucas, actress Cicley Tyson, Japanese conductor Seiji Ozawa and singer songwriter Carole King all witnessed her powerful performance. I was IN THE WINGS for that insanely brilliant @ArethaFranklin performance. Life changing. What a wonderful @kencen honors this year! 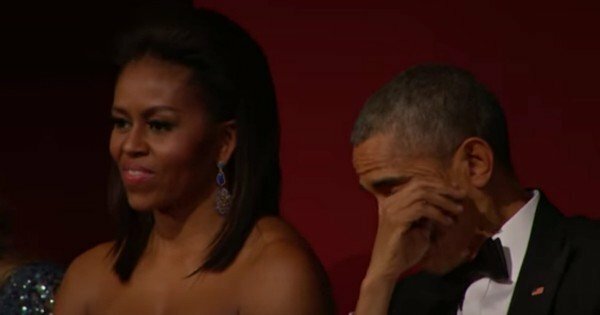 Barack Obama appears to tear up, Michelle Obama sang along and King (seen in the video) looks like she was going to combust. Franklin finished her performance by rising from the piano, dropping her fur coat to the ground and blowing kisses to the crowd. Boss. Lady.